Welcome Home to Meriwether Place in Durham! Peaceful Living with City Convenience! Located in the heart of Durham, Meriwether Place proudly offers newly renovated 1, 2 & 3 bedroom apartments. With plenty of restaurants and shopping nearby, you’ll find everything you need just outside your door! The property is surrounded by peaceful walking paths and features an array of updated amenities suited to fit your lifestyle. Have a furry companion? We’re a pet-friendly community so bring them along! Meriwether Place is proud to announce our upgraded amenities in both your new apartment and throughout our community. Enjoy updated flooring throughout our various floor plans and updated appliances in your new kitchen. Our newly renovated community boasts a fitness center, sparkling pool, two playgrounds for the kids, a basketball court, and a pet park for Fido! 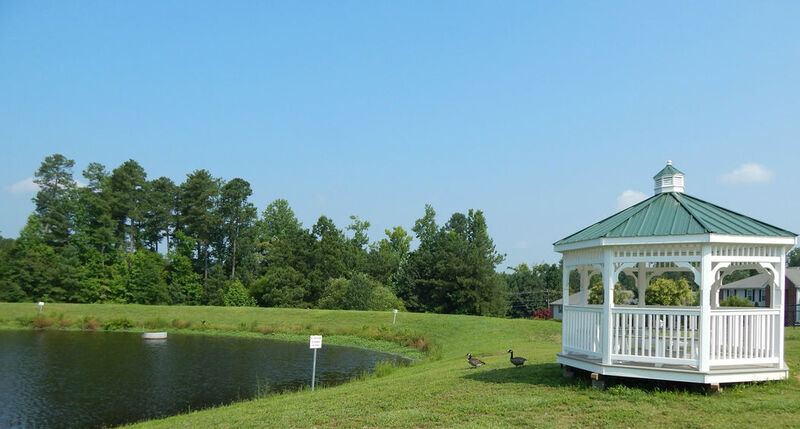 Our ideal location near major highways makes it easy to get anywhere that you want to go, but allows you to come home to a park-like setting away from the bustle of the city. Meriwether Place is minutes away from shopping, dining, entertainment, and Duke University. Looking for a way to spend your day? Take a trip to the Museum of Life and Science, go shopping at Northgate Mall, or see a show at the Durham Performing Arts Center. No matter what your interests there is something nearby just for you!